Posted March 31st, 2019 by Richard Girling & filed under carpal tunnel therapists in Miami. Research shows that the carpal tunnel syndrome occurs in between 4 and 10 million people in the United States. Carpal tunnel syndrome is a common nerve condition that can severely affect the hand and wrist. It occurs when the median nerve is pinched or compressed. The symptoms include numbness, tingling, thumb weakness and pain in the first three fingers or thumb. Carpal tunnel syndrome ranges from mild to severe, the progression tends to come slowly and gets worse over time. But, early detection and treatment can prevent the syndrome from getting worse and reduce the recovery period. Appropriate treatment often restores hand and wrist function whilst relieving its symptoms. In this article carpal tunnel treatment in Miami will discuss the different types of treatment methods for this type of syndrome. There are home remedy treatments, alternative medicine and non-surgical therapy available, but if those don’t work, surgery may be required. Here are the treatment methods for carpal tunnel syndrome. The following home remedies and lifestyle measures can provide temporary relief for mild to moderate carpal tunnel syndrome..
As often as possible, avoid or take breaks from repetitive movements that involve the use of hands and wrists. Make use of major joints when lifting objects, avoid putting extra stress on your hands, wrists and fingers. Do gentle hand, wrist and finger-stretching exercises. Massage the affected hand and wrist. At night, wear a wrist splint that is not too tight. It can be purchased in most drug stores or pharmacies. Avoid sleeping on the affected hands and wrists. Take over-the-counter pain medication, such as ibuprofen, aspirin or naproxen. Remember that if your pain, numbness or weakness persists, it’s always best to seek advice from a doctor. Hand therapy techniques: Some therapy techniques, such as physical and occupational hand therapy have been proven to reduce the symptoms of carpal tunnel syndrome. Yoga: Practicing yoga helps strengthen and balance upper body movements. These can help reduce pain and enhance grip strength. Ultrasound therapy: This can be used to increase the temperature of the affected area, which can potentially help reduce pain and promote healing. Other alternative treatment that reduce the symptoms of carpal tunnel include, chiropractic medicine and acupuncture. It is best to consult your doctor to know if these types of treatments would be effective for you. Non-surgical treatments can help improve carpal tunnel if the syndrome is diagnosed in its early stages. Corticosteroids: These are an injectable solution that helps relieve pain, decrease inflammation and swelling. Your doctor would use an ultrasound guide to properly inject it into the affected area. Oral corticosteroids are also available, but they are not as effective as the injections. 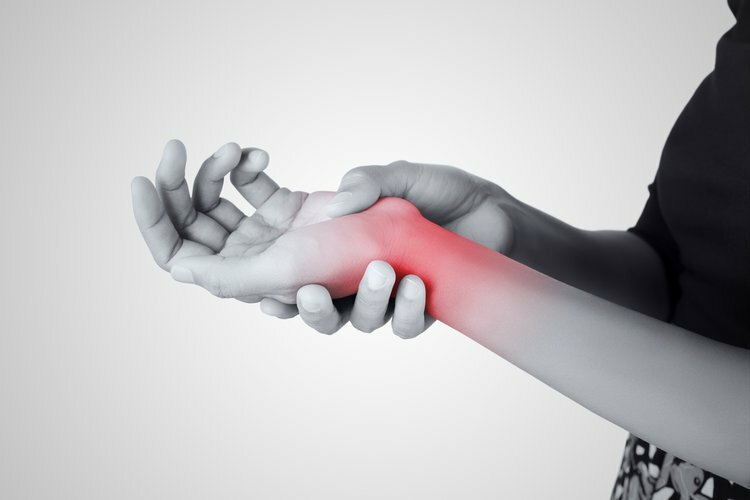 Non-steroidal anti-inflammatory drugs (NSAIDs): Taking NSAIDs such as ibuprofen, may help relieve carpal tunnel syndrome pain, but only for a short period of time. Wrist splinting: Wrist splint is best used during night time. It holds your wrist in a steady position, while you sleep – this relieves tingling and numbness. If you have tried other treatment options, which did not work well, surgery may be an appropriate option for you. Surgery can also be an option if the symptoms of your carpal tunnel syndrome are severe. The surgery’s goal is to relieve pressure by cutting the ligament that presses the median nerve. Open surgery: The surgeon will make an incision in the palm of your hand, cutting the ligament free from the nerve. Endoscopic surgery: The surgeon will use a telescopic device with a tiny camera to see into the affected area. Once it’s spotted, the surgeon will make one or two small incision in your hand or wrist, cutting the ligament. Endoscopic surgery is less painful than open surgery and the recovery period is much shorter. During the recovery process, the ligament tissues slowly grow back creating more room for the nerve. The skin would usually heal in a few weeks, while the complete internal healing would take several months. Carpal tunnel treatment in Miami offers treatment for different types of hand injuries and conditions. They provide proper diagnosis and treatment options that would best work for you.